Our production platforms and their digital twins are seamlessly integrated with our Big Data evaluation centers. They receive important information about actual demands and moods of your listeners allowing producers and presenters to adjust their program and commercials right at the spot. Our production systems show all information vital to your producers and talents and evenhas the ability to automatically react to certain events. Now you can tailor your shows exactly to the requirements of your advertisers and audiences. Our DC3 consoles are suited for most complex live shows like sports events as well as for dynamic music shows with several presenters residing in different studios or even towns. Integra radio consoles are designed for stations operated by presenters and producers only. They come with well designed templates for any radio show you can think of. It's more than easy now to set-up completely new shows within minutes and attract your listeners with innovative formats. Broadcast Productivity Suite is a suite of apps to be used in any combination to simplify operational requirements of today’s broadcasters. 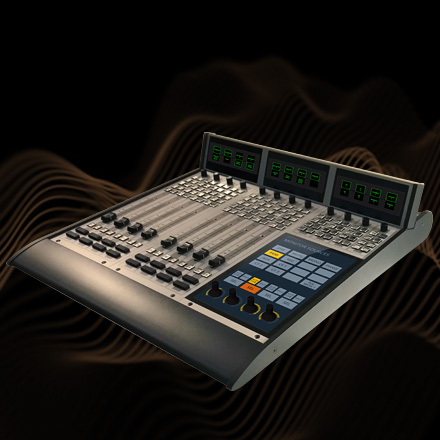 It controls the workflow between on-air studios, news and productsion studios, and the MCR.